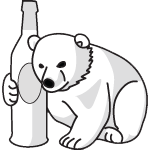 Get well soon, Kuma - good luck ES! The parcel is on the move again! Done! A few things here and there left, I think. 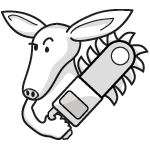 Send it to Chainsaw Aardvark! He's the next in line. We will probably need another round, though, for fleshing it out... But who knows. I admit I'm usually a bit slow in checking my messages, but I've got the package now, thanks. This looks like it might have been a fun task to be a part of. vulpinoid wrote: This looks like it might have been a fun task to be a part of. It isn't over yet! I'm sure we can pencil you in for the end of the third round if you are interested!